Dante’s “Inferno”, the 14th century epic poem, where Hell is nine concentric circles of torment located within the earth. It is the most appropriate analogy for the seriousness of the national dilemmas and the international challenges that confront us. In my last piece, I started with the outer circle of Dante’s hell: The threat of global disorder. It is clear that the post WW2, but more importantly, that the post-cold war global order is unravelling. The tectonic plates are shifting. This is occurring both in geopolitics and in global financial markets. We do not see clearly yet how the new balance of global military, economic, and political power, will be configured. But a reconfiguration in clearly underway. Now I am progressing to the second circle of Dante’s inferno — Brazilian dynamics and Presidential elections. 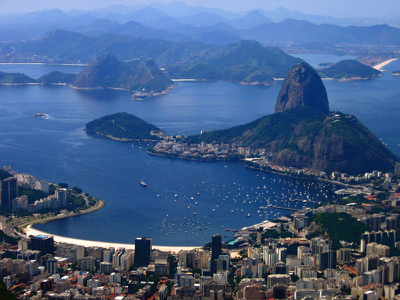 The second round of the Brazilian presidential elections took place on Sunday 28th October. The victor was the far-right populist former army captain, Jair Bolsonaro, with 55.13% of the votes. The first round had taken place place on October 7th. Jair Bolsonaro came very close to winning the 50% of the valid votes needed to avoid a second round. But with 46% of the votes he was forced into a runoff with Fernando Haddad, his opponent from the workers’s party (PT), who had received 29% of the votes. The wide gap between the two candidates had narrowed considerably over the course of the campaign. The Datafolha opinion poll (conducted between the 8-10 October) gave Bolsonaro 58% of the valid votes to Haddad 42%. On the eve of the election the difference in Datafola polls was 55% for Bolsonaro and 45% for Haddad. The rejection rate for both candidates remained very high: At 45% for Bolsonaro and at 52% for Haddad. But in the end Bolsonaro won decisively. He received 57,797,416 votes, Haddad 47,040,380 votes. But abstentions were high at 31,371,204 votes or 21.30% of the total votes. Bolsonaro has been called the tropical Donald Tump and a Brazilian Rodrigo Duterte after the Philippines president. Jair Bolsonaro and Fernando Haddad: What do they represent? Jair Messias Bolsonaro is a reserve army captain, former parachutist, and long term congressman. Lula is in jail convicted of corruption and money laundering. Much as in the US in the 1930s in the case of the gangster Al Capone who was convicted of tax evasion, Lula was convicted by Federal Judge Sérgio Moro in Paraná on a relatively minor corruption case concerning a beachfront triplex apartment in the coastal Sao Paulo State city of Guaruja, paid for by the construction company OAS, in return for steering contracts to the company before he left office. The information was obtained by plea bargains with Leo Pinheiro, the former head of OAS. Plea bargains have transformed the Brazilian judicial system and have been at the heart of the process by which Brazilian federal prosecutors unravelled the massive kick-back scandal involving Petrobras, the state controlled Brazilian multinational petroleum company. Many businessmen and politicians have been caught in the “Lavo-Jato” (car-wash) investigations, including the former speaker of lower house of Congress, Eduardo Cunha, who was jailed for 15 years, and Antonio Palocci, the former finance minister and long term Workers Party (PT) fixer, who has signed a plea bargain which places Lula at the center of the PT’s web of corruption. The country has been bitterly divided between Lula’s supporters and the anti-Lula forces. Many Brazilians see Lula as a crook. Yet many Brazilians continue to think he is a saint. Both sides are right in part. Lula did preside over one of the most corrupt regimes in Brazilian history. But he also left office with approval ratings of 84% according to Datafola in 2011. He presided over an administration during boom times for Brazilian exports and he lifted many out of abject poverty in one of the world most unequal societies, especially in the North East of Brazil. These voters remained loyal to Lula even in prison while the rest of the country voted overwhelmingly for Bolsonaro. The most striking feature of the election campaign has been the high rate of rejection rates of both candidates by voters in the opinion polls. Bolsonaro’s rejection rate hovered between 35% and 39%. Haddad’s between 42% and 44%. The antipathy to both candidates was deep and consistent and it will make reconciliation very difficult. Fernando Haddad was Lula’s substitute. But this substitution took place at the very last moment on September 11 when Lula handed over his presidential candidacy to Haddad who until that point was his vice-presidential running mate. Haddad is not from the radical wing of the PT. He is the son of a Lebanese immigrant to Brazil and is an Lebanese Orthodox Christian. He studied at the University of São Paulo and has an MA in economics and a PhD in philosophy from the University of São Paulo where he became a professor political science. He was minister of education between 2006 and 2012 during the presidencies of both Lula and Dilma Rousseff. Haddad was elected mayor of São Paulo in 2012 and served until 2017. While mayor he faced the largest mass demonstrations since 1992 when he raised the cost of public transportation and the Metro in Sao Paulo in 2013. His approval ratings fell to 4%. In the subsequent municipal elections he was roundly beaten by Joao Doria, a wealthy businessman and journalist who was the host of the Brazilian TV edition of “The Apprentice.” Haddad received only 17% of the votes. After Lula’s benediction in September 2018, Haddad’s polling results immediately jumped. Haddad’s running mate was Manuela D’Avila from Rio Grande do Sul and a member of the Communist Party of Brazil. But it was always Lula/Haddad during the campaign. After the results were in the first person Haddad visited was Lula in his jail in the Federal Police Headquarters in Curitiba in the State of Parana. During the second round of the presidential campaign Haddad sought to distance himself from Lula by adopting the colours of the Brazilian Flag (Yellow and Green) in his campaign slogans, rather than the red flag and red star of the PT. But Lula always hovered in the background, both repulsion and attraction in equal measure. Jair Messias Bolsonaro (63) is a Reserve army captain and former paratrooper. He is from a lower middle class family from Glicerio, Sao Paulo, and attended a military school in Campinas in São Paulo, before entered the Brazilian army’s military academy of Agulhas Negros in Resende, Rio de Janeiro. He served for 17 years in the army but not without controversy. He was interviewed by a major weekly newsmagazine and complained about the pay and conditions of junior officers. He was arrested for 15 days, and acquitted two years later. But in the interim he became a household name and very popular among military hardliners and right wingers. He entered the reserves in 1988. Bolsonaro has been elected four times to the lower house of congress from Rio de Janeiro and he has served in Congress for 27 years. He has been affiliated with 8 political parties during this time and only joined the PSL (The Social Liberal Party) earlier this year. He attacked the former human rights minister, Maria do Rosario, by saying she was “not worthy of being raped.” He said the error of the Brazilian military dictatorship was that it “tortured but did not kill”. He has praised the regimes of Alberto Fujimori in Peru and of Augusto Pinochet in Chile. When Bolsonaro voted for the impeachment of Dilma Rousseff in Congress he eulogized Colonel Brilhante Ustra, the head of DOE-CODI in São Paulo, where Dilma was tortured. He has been pro-American and pro-Israel since the 1980s. He has strong support from three critical blocs in the congress, the so-called bullets, bible, and beef brigade; that is those members of congress who represent the interests of the powerful Christian evangelicals, the rural interests of big landowners, and the powerful gun lobby. Bolsonaro was severely wounded on September 6th during an assassination assault when he was knifed in the stomach during a campaign rally in Juiz de Fora in Minas Gerais. He was saved by the speedy intervention of surgeons at local hospital. He was then transferred to the Albert Einstein Israelite Hospital in Sao Paulo. After several operations and a month in hospital he returned to his apartment in the upperclass neighborhood of Barra de Tijuca in Rio de Janeiro, but did not campaign publicly thereafter preferring to reach his supporters via WhatsApp, the internet, and the occasional friendly television interviews. The election results in the first round disposed of the competitors. The most serious of which was Ciro Gomes, who was a perennial presidential hopeful. Ciro was in his seventh political party and he is notorious for putting his foot in his mouth. More seriously, former president Lula from his jail cell in Curitiba regarded Ciro as the most serious presidential challenger on the left to his legacy of support among PT voters, and Lula orchestrated the isolation of Ciro. Lula also intervened behind the scenes to gain the support of political leader of the so-called “centrao,” former congressman Valdemar Costa Neto, to support the PSDB candidate Alckmin and not Ciro. Not surprisingly Ciro Gomes left Brazil after the first round, and he only returned to Brazil on the eve of the second round when he announced that he would not support Haddad. Geraldo Alckmin, who is a former long-term former PSDB governor of São Paulo, received less than 5% of the votes. Since democracy was restored in 1985, and since the constitution was promulgated in 1988, the Brazilian political scene has been dominated by two major political parties, the PSDB (the Brazilian social democratic party) and the PT (the Workers Part). and by two leaders, Fernando Henrique Cardoso (FHC) and Lula. Haddad represented the PT. Alkmin represented the PSDB. But the great victim of the elections was the PSDB. It has always been a party of many caciques. But FHC, the historical leader of the PSDB, and an internationally known sociologist, has spend more time promoting the legalization of marijuana in recent years than in promoting the cause of pubic security, which has become one of Bosonaro’s major public issues, and is a major concern in a country which has seen a exponential rise of insecurity and violence on the streets and in the poorer neighborhoods. There were 56,101 murders in Brazil in 2017. Brazil is a heavy importer of cocaine and is a major part of international drug routes. Gangs and gang related violence is rife in the favelas and marginal periferal regions and favelas of Rio and Sao Paulo, and violent turf wars have racked the urban slums and the prisons. 40% of murders are of youths between 15 an 25 years of age. Most of them poor, marginal, and black. The police are often bribed not to interfere, or are themselves drug dealers. For the majority of Brazilian population in “Brasil profundo” the preservation of life was more important than the legalization of marijuana. The PT proved more resilient in the congressional races at the grass roots level, returning 56 to the lower house of the congress. The Social Liberal Party (PSL) of Bolsonaro was the real winner, gaining 52 deputies. The Movement for Democratic Brazil (MDB), the party of president Michel Temer gained 33 seats. Although the PSL is the second largest bloc in the lower house of congress, the PSL coordinator and the future chief of staff to the president elect, Onyx Loremzoni, is likely to attact the support of many of the smaller parties, as well the MDB, which has supported every party of government since 1986. Eduardo Bolsonaro, the son of Jair and his close adviser, was elected to the lower house of the Congress from São Paulo by the greatest number of votes in Brazilian history. Jair Bolsonaro’s other son, Flávio Bolsonaro, was elected to the Senate from Rio de Janeiro. The Senate also saw a major change. But the new Congress is likely to be less sympathetic to the widespread privatizations and the fiscal and social security reforms that Bolsonaro’s economic advisers have in mind, and many outside observers believe are urgent and essential. More seriously there has been a creeping militarization of Brazilian politics over the past two years. Bolsonaro’s vice presidential running mate is General Hamilton Mourao, like Bolsonaro a military officer now in reserve. General Mourao who had commanded the southern military region, became controversial when in September 2017 in Brasilia he declared at the Masonic Grande Oriente lodge, that among the duties of the Brazilian military if the judiciary was incapable of guaranting law and order, then the army would impose it through military intervention. The security in Rio de Janeiro had in the meanwhile be taken over by the military. The ministry of defense is now headed by a general. The presidential contest was also characterized by the rise of digital campaigning, a strategy led another of Jair Bolsonaro’s sons. Carlos Bolsonaro, via WhatsApp, Facebook, and twitter. Seven out of every 10 Brazilians use WhatsApp for information, some 120 million Brazilians. Anti-PT, and moralistic messaging and “fake news” flooded across dozens of groups of WhatsApp users. The power of this means of digital communication had been vividly demonstrated last year during the truckers strike which effectively brought Brazil to a dead halt. Bolsonaro will in all likelihood be another president addicted to the tweet. Steve Bannon has been one of Bolsonaro’s supporters. And in foreign policy the Trump White House will find it has a new like minded ally in Brasilia that agrees with Trump about Venezuela as well as China and speaks the same language. But the fundamental causes of discontent are the deep and lingering recession, the chronic violence and insecurity of everyday life, the grosteque corruption of politicians, and a collapse of faith in the traditional political system. Bolsonaro’s economic guru is Paulo Roberto Nunes Guedes (69) who will be the economy minister in the Bolsonaro government. His views are well known. He has been a columnist for Rio de Janeiro based newspaper “O Globo” where he came to the attention of Bolsonaro. He is a carioca (from Rio de Janeiro) who was educated in economics at the Federal University of Minas Gerais. Then he obtained a masters degree from the Fundacao Getulio Vargas, and went on to gain a PhD in economics from the University of Chicago where he worked under the late Milton Freidman of whom he is a great admirer. His thesis at Chicago concerned mathematical models on fiscal policy and foreign debt. Guedes has always been an orthodox liberal in terms of economic policy, promoting the reduction of the size of the state, cuts in state expenditures, a floating currency, and a Brazil open to world trade. He is a strong supporter of privatization. During the early 1980s he was invited to teach at the University of Chile for $10,000 a month with a round trip airfare between Chile and Brazil. The university of Chile was then under military intervention, and economists from the University of Chicago had been invited by the Pinochet regime to implant a policy of economic liberalism following the principles of Milton Freidman. The invitation to Guedes came from the director of the school of economics and business, Jorge Selume, who was also director of the budget for Pinochet, and was one of Guedes colleagues among the the “Chicago Boys” during the Pinochet regime. Guedes says that the Pinochet dictatorship was “irrelevant from the intellectual point of view.” This is a view he has also promoted in his newspaper columns and which drew the attention of Bolsonaro. “The death of the old politics is another face of the intellectual advance of this country” he wrote. It is little wonder that the Sao Paulo stock market rose following Bolsonaro strong result in the first round of the presidential election. It is not surprising that Bolsonaro/Guedes is by far the “market’s” favorite. On his return to Brazil from Chile, Guedes was one of the founders of Banco Pactual, which in 2009 became BTC Pactual, and he was one of the founders of the “think-tank” the Instituto Millenium which promotes a liberal vision, individual liberties, the right to property, a market economy, the rule of law, and institutional limits on government actions. It is supported by many leading Brazilian businessmen, Guedes is the CEO of Bozano Investments. But Guedes has always been an outsider among the economist establishment in Brazil. He has never held a government position, or a regular university position in Brazil, and he is not fondly regarded by its denizens, nor does he fondly regard them. He was too othodox for one group, and not othodox enough for the other. He is likely to head a super-ministry under Bolsomaro which combines the ministry of economy (fazenda) with the planning ministry and ministry of industry and commerce. Brazil under president (reserve) captain Bolsonaro, and vice-president (reserve) General Hamilton Mourao will enter very turbulent waters. Will Paulo Guedes be able to implement his draconian economic policies? Will Jair Bolsonaro carry out his draconian social agenda? They will certainly try to. Brazil has entered a very new and very dangerous new world.